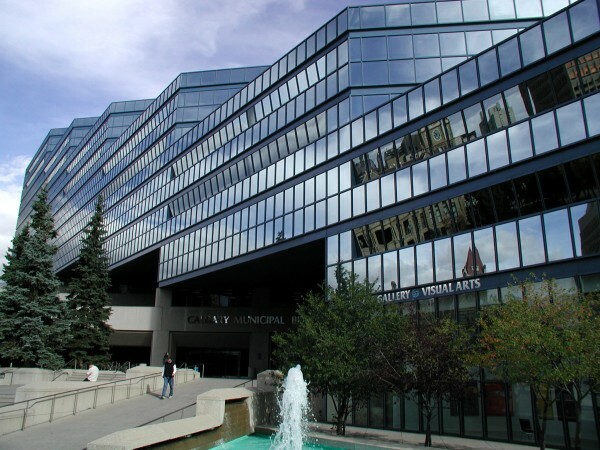 Street preacher Artur Pawlowski and some members of his flock were booted from Calgary’s civic temple again Tuesday, which may or may not have been their goal, but did attract some much-prized coverage. Calgary Sun columnist Michael Platt strongly criticized Pawlowski in his piece, suggesting the preacher’s attempt to hold a prayer meeting inside the municipal building’s atrium was prompted by his "massive ego," and that his subsequent eviction was not, as Pawlowski claims, religious persecution. The column is a sharp contrast to one penned by Sun TV’s Ezra Levant last month. Levant argued Pawlowski’s eviction for a previous attempted prayer meeting was in fact evidence of Mayor Naheed Nenshi’s "anti-Christian bigotry"—while repeatedly referencing the mayor’s Muslim faith. There’s no word from Levant yet on Pawlowski’s latest squabble, but it seems there’s no such thing as bad publicity for the preacher, who’s posted links on his website to nine articles about the incident, including Platt’s (perhaps not realizing the columnist’s use of the word "crusade" wasn’t intentended to be flattering). Despite being served with a one-year ban from the atrium, Pawlowski’s indicated he intends to return next week, although respondents to a church poll apparently believe "community outreach" should be a low priority for the organization. Pawlowski’s love of microphones also seems somewhat at odds with the approach advocated by his character in an issue of the comic book "Back 2 Streets," which he co-wrote. In it, a character seemingly modelled on Pawlowski stirringly proclaims: "We’re not called to be talkers, but instead doers of the Word!" 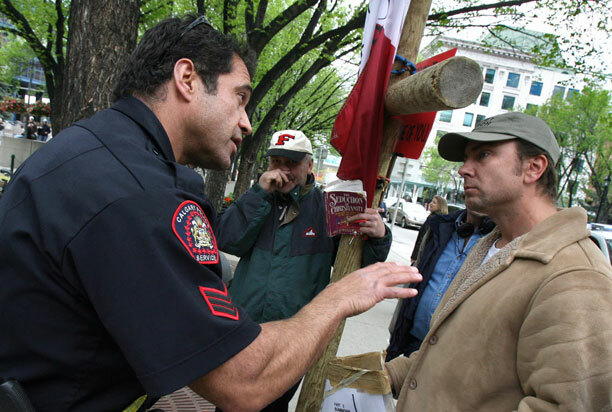 April 22, 2010 Artur Pawlowski Comments Off on Eleven bylaw infractions withdrawn against Calgary street preacher.